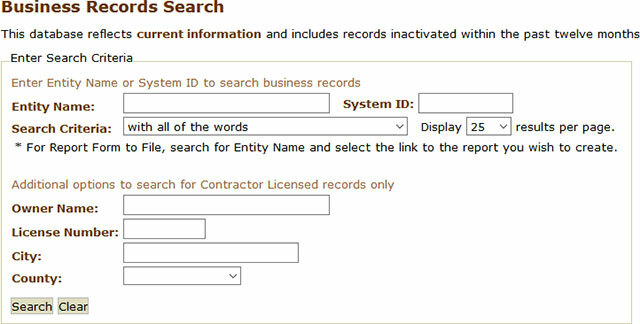 The online registered business search tool of the North Dakota SOS lets you search the database for any business entity that has its incorporation in the state. To search the database you need to know either the entity name or the entity number. There are also advance search options like owner name, license number, city and country. Below is a step by step guidelines on how to use the North Dakota business search tool. 1. The first step is to access the North Dakota business search page by clicking here. The search page looks similar to the screenshot below. 2. 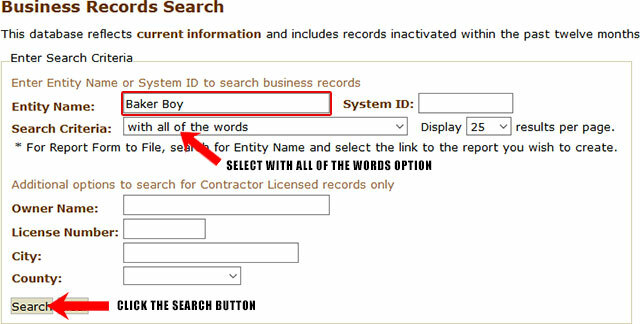 The business search form allows you to search by entity name and system ID. It also allows you to widen or narrow your search down with the additional options such as the owners name, license number, city and county. They give you additional search criteria that include searching for a business name with all the words, with at least one of the words, entity name starts with and partial matches. For this example we will be searching by name, so in the "Entity Name" field type in "Baker Boy". For the "Search Criteria" field select "with all of the words". Leave the rest of the fields in the form alone, as shown in the screenshot below. 3. Once you click the "Search" button, you will see a list of results that match your search criteria. Click the business entities status to view the company details, as shown in the screenshot below. 4. When you click the status type for a business entity, it will show you the details for that business which includes their system id, current status, file date, renewal date etc. You can see the details in the screenshot below. The Secretary of State of North Dakota is an elected office brought in force by the Constitution of North Dakota. One of the highest government offices in the country, the North Dakota Secretary of State is an executive branch of the state government. The current incumbent to the office of the Secretary of State of North Dakota is Alvin A. Jaeger. The Secretary of State of North Dakota is the custodian of the Great Seal of the State. 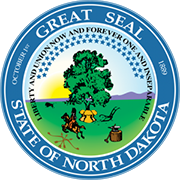 The North Dakota SOS is authorized to authenticate official documents of the state using the seal. He is also in charge of recording the various acts of the governor and distributing copies of legislative resolutions. The North Dakota Secretary of State also regulates elections in the state. The Secretary of State of North Dakota also records the original bills and resolutions generated from each biennial legislative assembly. The other duties of the North Dakota SOS are those pertaining to the regulation of vehicles, issuance of licenses and regulating various government bodies in the state.